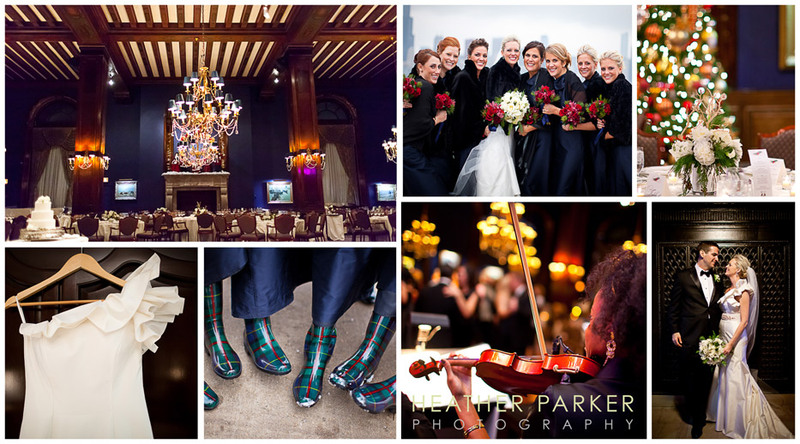 Winter weddings are just as delightful as spring and summer celebrations except they are a million times more cozy. That’s why winter tops my list for my favorite wedding season. It’s hard to find a better spot than Chicago’s timeless Union League Club. If you both love the holiday season and have picked a wedding date close to Christmas you know you’re going to have fun choosing a wintry color palette of red, navy and green. I adore venues with candlelight and crackling fireplaces. There’s no better way to warm up a room with old-fashioned ambiance. Rather than working against holiday decor and trying to compete with it, work with it! This couple added some festive touches by integrating stringed lights and evergreen garlands to create an elegant Christmas-inspired theme. 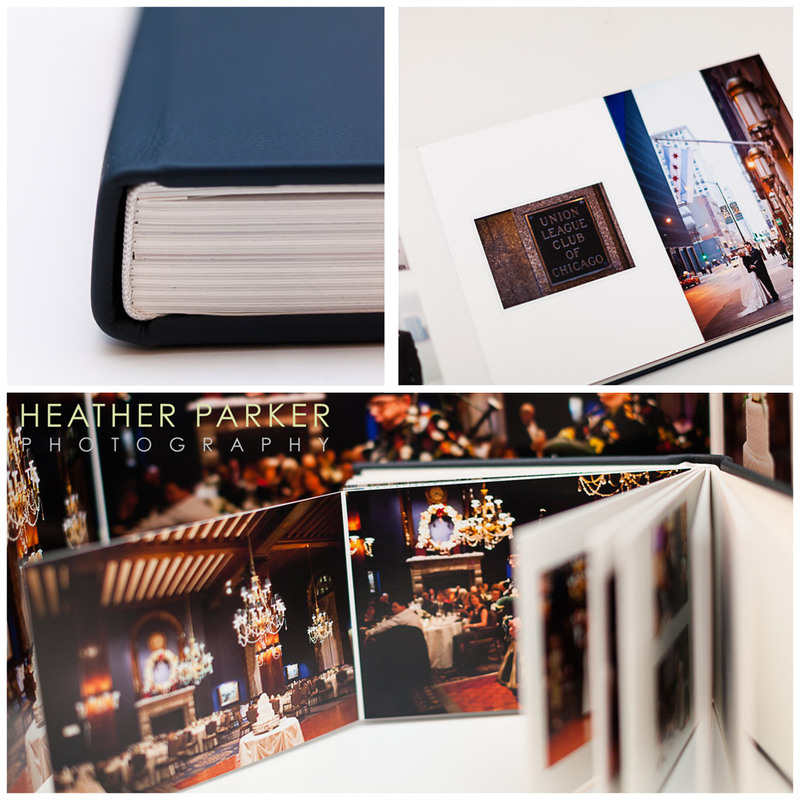 Chicago wedding pictures at the Union League Club taken by Heather Parker Photography featured in The Knot Magazine. The Union League Club has a capacity of up to 350 guests in the Main Dining Room. My favorite feature is the deep blue walls. The room is decorated with an impressive collection of fine art, crystal chandeliers, ornate gold-leaf crown moldings, and of course fireplaces!